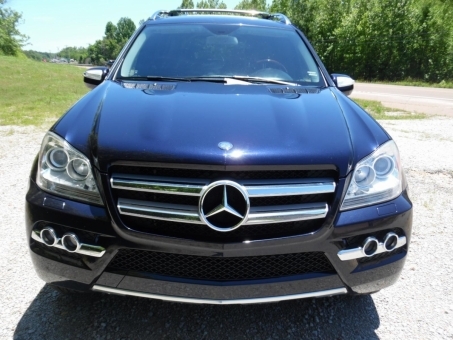 2010 MERCEDES-BENZ GL 450 BLUE WITH BLACK LEATHER,SUNROOF AND THE ONE IN THE BACK,NAVIGATION SYSTEM, BACK UP CAMERA,POWER GATE, 20 INCH WHEELS,DVD/REAR ENT SYSTEM WITH 2 HEAD SETS 2 REMOTES,POWER 3RD ROLL SEATS !! NICE NICE GL !! TIRES ARE GOOD ALL GLASS IS GOOD,NO PAINT WORK UNIT, CAR FAX WILL SHOW 2 OWNERS!